A weighted gear knob combined with a short shifter really improves a Nissan 350z’s gear changes. If you’re going to upgrade your shifter, don’t cheap out on it. Even the “expensive” short shifters are cheap when comparing them with other modifications. The cheaper shifters usually don’t last too long, and a broken short shifter can leave you stranded, or cause damage to the rest of your gearbox. In some cases, the cheap (and nasty) units are no more effective than your stock OEM shifters anyway. Has a warranty, or at least a guarantee to last a certain amount of time/miles. Reduces your shift throw a lot. 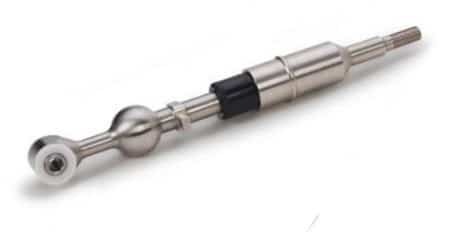 Is made by a reputable company. Since reliability is so important, we’re only listing short shifters that are a touch more expensive than the cheap and nasty models. They are designed to last and will probably end up being cheaper in the long run because of that. They’re reliable, durable, and will give you the best result. Combined with nicely weighted shift knob and a 350z performance clutch upgrade, you’ll not only be shifting faster, the shift feel in your Z will be much nicer. Fidanza’s short throw shifter is right in the mid-level in terms of quality, utility, and price. It will reduce your shift throw by more than some more expensive products, up to 40%, though it might not handle the same abuse as some of the more expensive products. Fidanza Performance is a company that specializes in performance clutch kits, flywheels, cam gears, and shifters. This shifter is made from hardened steel and aluminum, so you can be sure it won’t break on you. At the worst you might experience some play (wobbling) if the bearings start to wear out, but that shouldn’t happen for many tens of thousands of miles. Iconic Japanese tuning house, Buddy Club is a reliable option for pretty much all JDM car upgrades and their short shifter is no exception. If you’re looking for a similar feel to a 350z NISMO short shifter (because they are so damn hard to find!) Buddy Club has you covered. 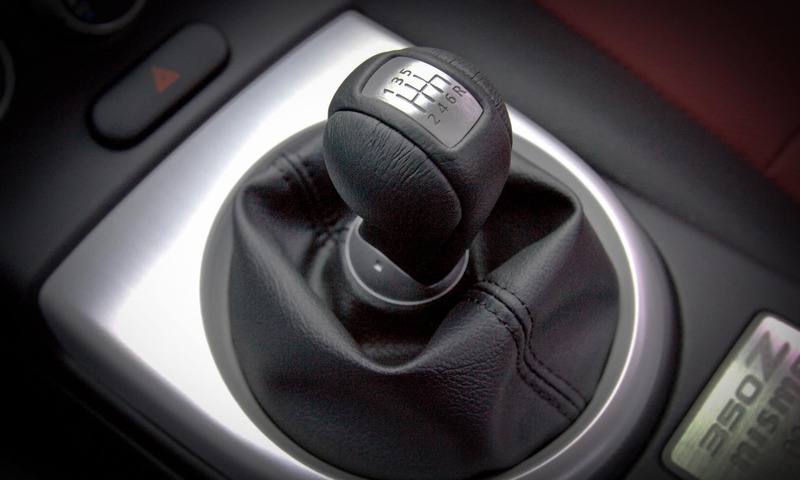 The short shifter reduces the throw by 40%, and you’ll notice other immediate difference to the stock shifter. Throws are cleaner and smoother, taking a lot of slop out of shifting. It’s made from high-strength steel but do know that its welds might not be perfect every time, which is why it’s not as expensive as others on this list. But aesthetics aside, it’s still a quality shifter. Do know that in rare cases you might hear some rattle if it’s not installed correctly. It’s recommended to seek a professional’s help to make sure it’s installed correctly. Torque Solution spared no expense when they made their short throw shifter. It uses CNC’d stainless steel to resist against corrosion, and the unit has been TIG welded in a precise jig. With its stainless steel construction, it’s not going to rust like a mild steel shifter will. Just in case something does happen though, it comes with a limited lifetime warranty. This shifter is solid and precise, like a bolt action sniper rifle. It’ll reduce your shift throw by up to 37%. 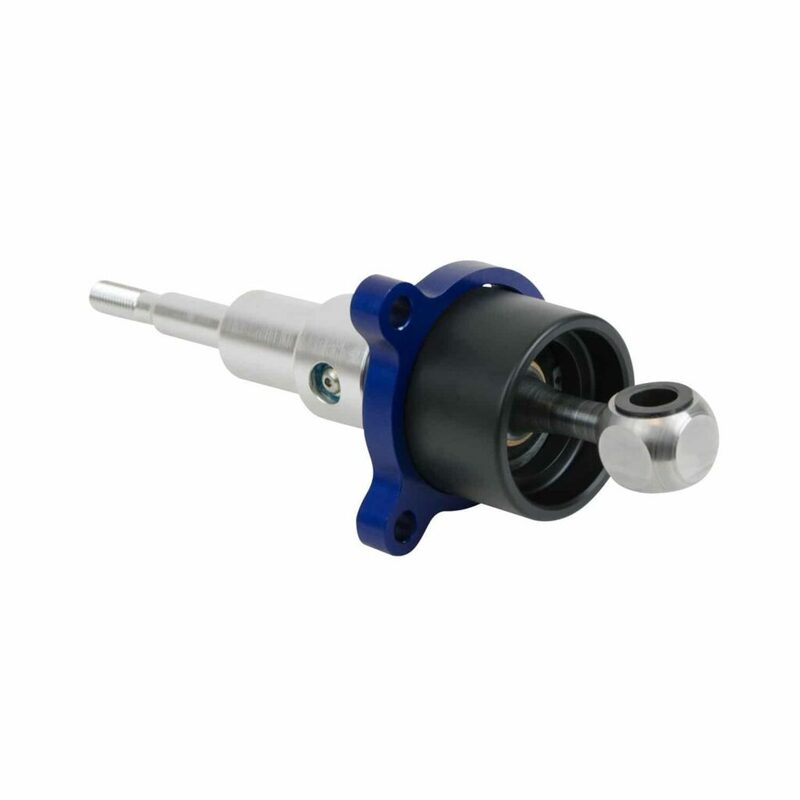 It uses the stock 350z shifter cup, not machined aluminum like some others, and what we like about it the most – a roller bearing instead of a nylon bushing. If you want to be able to hit your gears quicker and keep your RPMs high, this is one of the best 350z short shifters out there. B&M’s Precision Sport shifter is one of the most praised shifters for the Nissan 350z out there. It’s a direct bolt-on fit and can function with the factory boot, insulation, and console surround – OEM+. The workmanship of this shifter is reflected in the price: it’s not cheap, but it will last for hundreds of thousands of miles—for years—and even comes with a limited lifetime “million mile” warranty for everything except the cables. B&M’s shifter does not not reduce the shift throw by as much as some others, but it’s sturdier than most and won’t break on you. If you want a smooth throw from a product that won’t wear out on you in the first 10,000 miles, try out B&M’s Precision Sport shifter. Leave it to Stillen to give you the best quality product. Time and time again they have given us aftermarket upgrades that are durable, reliable, and enjoyable. The 350z Stillen short shifter will reduce your shift throw by more than any other on the market—a whopping 60%. That in itself is a reason to own this shifter. This vital addition to your drivetrain won’t let you down, thanks to its solid, two-piece construction, with a stainless steel base and durable polyurethane bushings. The 350z Stillen short shifter is a direct bolt-in with no modifications necessary. Dependable: the last thing you need is your shifter failing on you, especially when you’re driving! Durable: you’ll save money in the long run if you buy a shifter that doesn’t break. Reduces your shift throw a lot: This is the whole reason you’ve gotten a short shifter in the first place: to change gears quicker! There are quite a few shifters on this list that check all three of these boxes, but the one that fits the description the best, and is our recommended 350z short shifter, is the B&M 45163 Precision Sport. Even though Stillen’s Z33 short shifter comes from a household name and offers more shift throw reduction, B&M takes the win for a couple reasons. No matter how you slice it, B&M have sold plenty of short shifters over the years – more than any other brand here. In this time they’ve been able to fine tune their products. 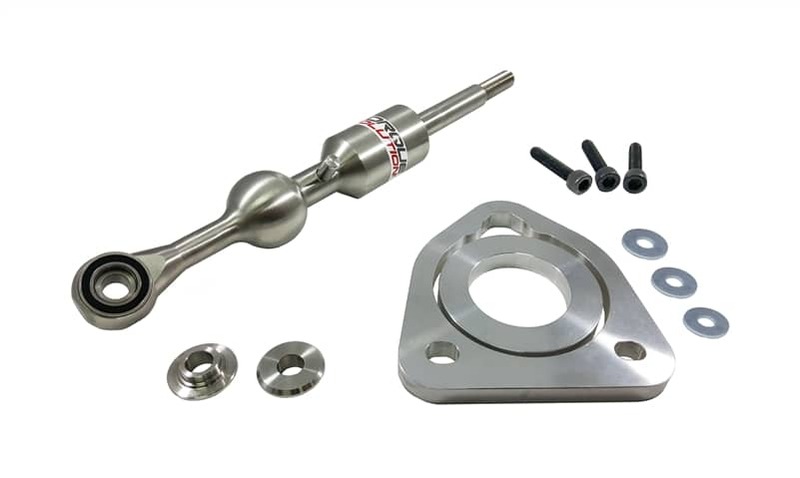 It’s the most highly rated and reviewed 350z short shifter on the market for a reason. It’s usually cheaper than the Stillen. It’s the most widely available and highly used short shifter around. That means mechanics will likely be very familiar with it, which is great if you need any repairs. It’s backed by a limited lifetime “million mile” warranty. Are there other Nissan 350z short shifters you don’t see here, but would recommend? Let us know by leaving a comment below.